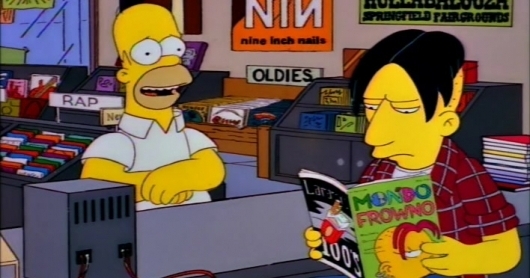 My Tower Records job remains the coolest I’ve ever had. I loved the music I experienced and the people I worked with, many of whom I remain friends with to this very day. It was a demoralizing time when the chain went out of business almost a decade ago because Tower had been an American institution since long before I was even born. Their shuttering sent a shockwave throughout lovers of physical media that has yet to subside, but at least the legacy of Tower Records will endure until the end of time through the impact the chain had on their most loyal customers and devoted employees. I only mentioned my time working for Tower because I wanted to put the following list into some sort of context. It’s doubtless I would have such eclectic taste in music and be able to write about it as I do with the movies I often review here at Geeks of Doom had it not been for the years I spent knee deep in the best and worst albums known to civilized humanity as a Tower employee. Here is my list of the best music of 2015, and with each entry you’ll find links to preview and/or purchase the corresponding title at Amazon. This was honestly a no-brainer. I am a huge John Carpenter fan, but it’s been a long time since one of the modern masters of horror and action cinema produced anything memorable. Making films under an aggressively competitive, micro-managing studio system can be a grueling and depleting experience for a proud independent such as Carpenter. When I heard he was coming out of self-imposed exile once more to record a new album of original electronic compositions, naturally I got excited almost right away. 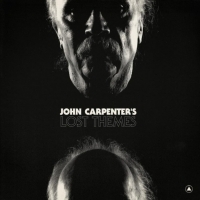 That rarest of filmmakers who not only composed the soundtracks for most of his movies but often made them one of their undisputed highlights, Carpenter’s return to composing music was a cause for celebration even before the actual album hit stores. Though the impending release filled me with the dread of the slightest possibility that it could be a bomb, I was ultimately pleased that Lost Themes was Carpenter’s finest creation since 1995’s In the Mouth of Madness – his last truly great film. Listening to it was like experiencing the soundtrack to the greatest movie the man never made, a brooding and propulsive symphonic drive into eternal darkness that energizes the mind as much as it haunts the soul. 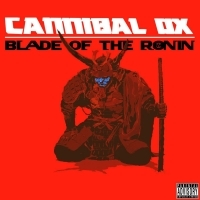 Fourteen years in (and out to make time for solo ventures) the making, Harlem’s innovative hip-hop duo Cannibal Ox returns for their long-awaited second album, an endlessly listenable masterpiece of grooving rhythms and exquisite lyric work that rivals any major label rap release in this year or any other. Straight outta the underground with a calculated vengeance, Blade of the Ronin is like the best fusion of street beats, grindhouse cinema, and unabashed geek love that the Wu-Tang Clan never created. “Psalm 82” grabbed me with its sample of the best Yoda quote from The Empire Strikes Back. As much as I loved Bob Dylan during that wild era of his historic music career where he felt free to experiment with different genres and push his craft to its unforgiving zenith, ever since 1997’s gorgeously realized Time Out of Mind he has had an incredible run of albums created with gentle humor, a rich range of emotions, and a fondness for the music of generations that came before his birth. Dylan is finally done with being a trendsetter and is ready to be comfortable with aging. 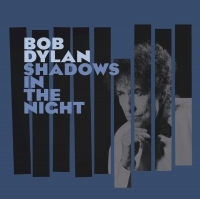 Shadows in the Night is a beautiful work that finds the restless troubadour paying tribute to the Chairman of the Board as Dylan performs ten classic Frank Sinatra standards with a grace and sadness that gives each song revived purpose and meaning. Most cover albums come across as publicity stunts and often reek of desperation, but Shadows is the rare one capable of making the listener not only appreciate the tunes being rerecorded, but giving them license to engage with both their creator and the artist resurrecting them for a new generation to enjoy. For their seventh studio album (and their first since 2011’s Circuital), Kentucky group My Morning Jacket took a break from their southern-fried rock sound and traveled to northern California to record some of their boldest and most adventurous music yet. Listening to The Waterfall‘s acid-washed melodies and pulverizing riffs is like taking a daytime drive down the Pacific Coast Highway in a top-down convertible while bathing in the warm embrace of a loving sun. Bands who take a departure from the sound that made them popular often fall flat on their face, but when the effort succeeds it feels wonderful to witness accomplished musicians expand their craft and evolve as artists. 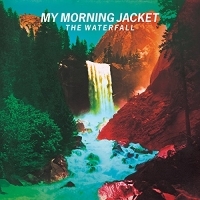 The Waterfall is one of the best My Morning Jacket albums to date. I fell madly in love with the Arizona Tex-Mex rock band Calexico during the first seconds of their 2006 release Garden Ruin and they have matched and surpassed each album they’ve recorded since. As I mentioned in my entry on My Morning Jacket, it can be a genuine joy to listen as great musicians take a stroll outside of their wheelhouse and dare to be different at the risk of alienating their devoted fan base for all time. 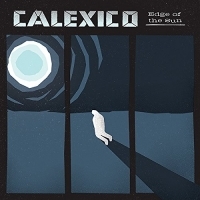 Edge of the Sun finds Calexico channeling the sorrowful poets and angry youths of 60’s and 70’s garage rock through their trademark haunting vocals, extra crunchy guitars, and some superlative drumming. From the soaring opener “Falling from the Sky” to the jaunty “Cumbia De Donde” to the passionate instrumental “Coyoacan”, Edge is Calexico at their absolute best. Dwight Yoakam has never evolved beyond being a writer and performer of great modern country music that owes a greater debt to the honky-tonk masters of the past than the majority of twangy swill polluting the airwaves these days (with the exception of the Dixie Chicks, love them dearly). 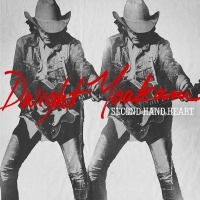 Second Hand Heart is ten tracks of Yoakam firmly ensconced in his comfort zone, playing music about love, loss, and regret with the primal drive of a heartbroken fool trying to make peace with a damaged past and having a ball in the process. It’s a beauty, and one that I find myself relating to more every time I give it a listen. 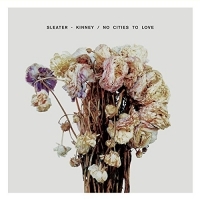 Having lost none of their musical firepower in the decade since they released their last studio album, the three amazing women of Sleater-Kinney (which includes Portlandia co-creator and star Carrie Brownstein on vocals and guitar) come back strong with ten blistering tracks of pure, unadulterated rock fueled by a furious social conscience and boasting heart and lyrical wit. Awesome tunes you can dance and pump both fists to but also demands your attention close and your brain working overtime. No Cities to Love is rock n’ roll made with guts, grit, and brilliance. 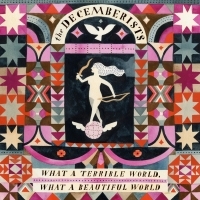 By turns youthful and mature, the latest album from hipster haven Portland, Oregon’s resident folk rock balladeers The Decemberists resonates with its melodic mini-epics destined to appeal to every emotion a person can possibly feel. Perfect listening for an afternoon walk or to enjoy with a stiff drink following a long day at work and your latest heartbreak, What a Terrible World, What a Beautiful World is one of the finest indie rockers of the year and packs plenty of spirit to compliment its lyrical brevity and catchy hooks. First of all, Emmylou Harris‘ name on an album is reason enough to get my money. Her angelic voice makes me melt every time. Listening to Harris sing tends to conjure memories of wonderful times that never really happened, but still feel genuine. 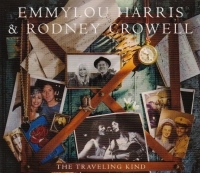 Allied with the finely aged vocals and blistered strumming of the sadly undervalued Texas country music great Rodney Crowell for her latest set of beautiful recordings, Harris is at her best in ages performing as one-half of a duet destined to be regarded as classic. 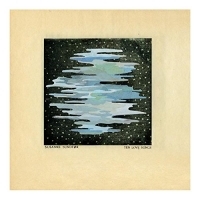 The eleven soulful tunes comprising their melancholic collaboration The Traveling Kind tell time-honored tales of love both found and lost and journeys almost as important as their destinations. For her sixth studio album, Norwegian songstress Susanne Sundfør originally wanted the topical focus to be on violence, but in her own words, “as I was writing the songs, there were violent aspects, but they were usually about love or relationships, how you connect with other people. And in the end, that turned out to be ten love songs.” It’s a beautiful thing that the darkness of the initial subject matter morphed through the act of creation into a harmonic testimonial to the optimistic feelings that truly unite us when life starts to hand us one escalating defeat after another, and Ten Love Songs turned out to be one of the most beautiful albums I’ve heard this year. Sundfør’s emotionally charged vocals stand out amidst a musical tapestry of haunting guitars and rhythmic electronic compositions. Well that concludes my list of the ten finest albums this year gave us. There were many others that could have easily made the cut, but I believe this to be the best of the bunch. Though you may disagree with some of my choices (or find me to be a complete fool), you have to admit that 2015 was a pretty damn fine year for music of all genres. Thanks for reading. Maybe I’ll be back next year with another list. Maybe.